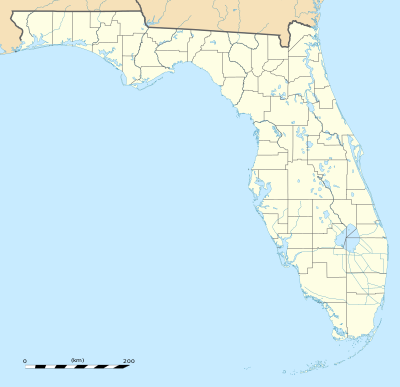 The Florida State League is a Minor League Baseball league based in the state of Florida. It is one of three leagues currently classified as Class A-Advanced, the third highest classification of minor leagues. Each team in the league is affiliated with a Major League Baseball team, and most play in their affiliate's spring training facility. The league was founded in 1919, and has continued almost entirely uninterrupted to the present day. The championship series' first cancellation was in 2001, when playoffs were canceled after the September 11 attacks. Afterwards, the 2004 playoffs were canceled due to the threat of Hurricane Ivan. Years later, the 2017 FSL Championship finals were canceled on September 5, due to the threat of Hurricane Irma. The winners of the division series playoff games were named co-champions. This marked the third time since 2000 that the championship series game was canceled. ^ "Personnel and Staff". Florida State League. Minor League Baseball. Retrieved July 27, 2017. ^ "Standings | MiLB.com Standings | The Official Site of Minor League Baseball". Web.minorleaguebaseball.com. Retrieved 2011-03-11. ^ "Championship Series Cancelled". MiLB.com. September 5, 2017. Retrieved September 5, 2017. ^ Norris, Josh (September 5, 2017). "Florida State League cancels its Championship Series". Baseball America. Retrieved September 6, 2017. ^ Kirkland, Gary (March 19, 2005). "Are the minor leagues returning to Gainesville?". gainesville.com. Retrieved September 6, 2017. ^ "FSL Hall of Fame - Florida State League About". Florida State League.